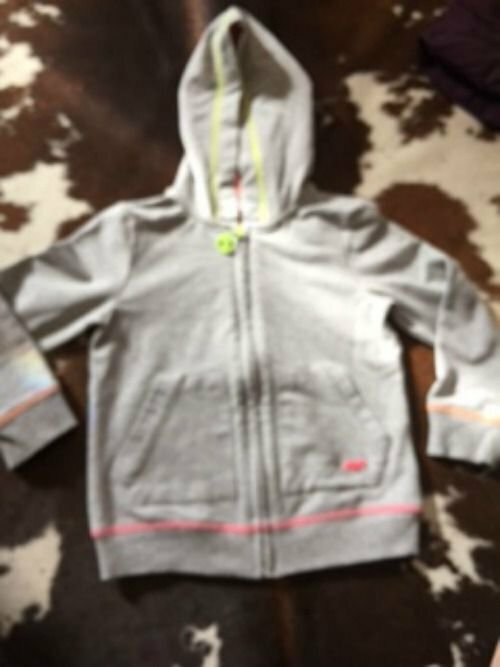 Pre-owned MAYORAL CHIC Gray Zip Up Hoodie Pink Lined Hood SZ 4 Girls Kids55% cotton 35% polyester 10% elastanefront zip hoodie with Mayoral Chic pull tagtwo front slash pocketspink lining detailsize 4 Girls Laid flat this hoodie measures: 10'' shoulder, 14.5'' sleeve length, 26'' chest and 14.5'' length. OEM SONY PEGA-AC10 AC POWER ADAPTER DC 5.2 V 2000 mA TESTED! !